I kinda go back and forth on New Years Resolutions. I definitely like to set goals for myself at the beginning of the year and I’m a big believer that if you consciously put something out there, and keep it in your arena of awareness, then the universe will take you down the path. I have some big lofty goals like making $500,000 a year and buying a house in Santa Barbara and traveling for at least a month every summer, or better yet how about ‘summering?’ I hope to one day ‘summer’ in France or any awesome place around the globe. Those goals, however, are not my primary focus. I just hope to get there one day and I do feel like I’ve set the intention to follow that path. Now, these are definitely goals, not resolutions. A resolution is something you decide to do. 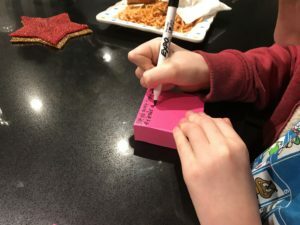 I don’t always make resolutions but now that my kids are getting to an age where they can really understand what resolutions are and how they can be an important ritual, I want to teach them about the potential of making resolutions. With that in mind, we embarked on a family discussion around the dinner table to set our 2018 resolutions. I’ll be honest, we did this twice. 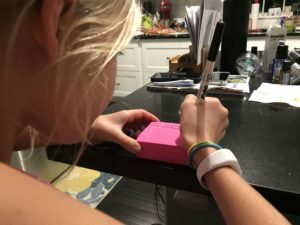 The first time was the first week in January and while we had a quick conversation about what our resolutions would be, we didn’t write them down, or focus on them or create any way to remember what our resolutions were. That’s why we did it again. Tell one another our resolution for the year. 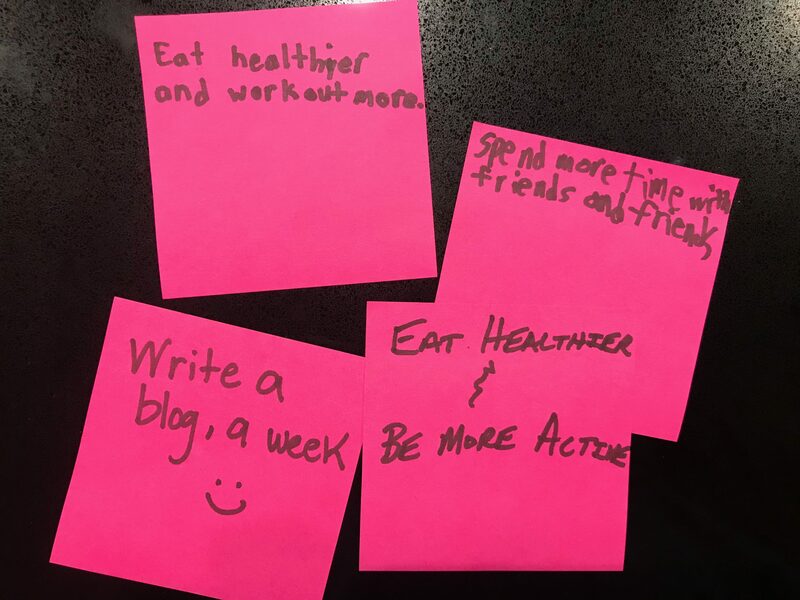 Write down our own resolution on a sticky note (or any paper will do). Stick sticky note somewhere you will see it on a regular basis. Writing something down makes an imprint on your consciousness. Having the resolution somewhere visible is where it’s really at. Even if you never read it, just seeing the note in your peripheral vision is all it takes. You already know what the note says and seeing it on the daily leads you down the path of the desired resolution. Now, there are no guarantees in life, but I’m pretty sure that if you follow those 3 steps, your resolution, goal, task, or whatever it is, will come to fruition. 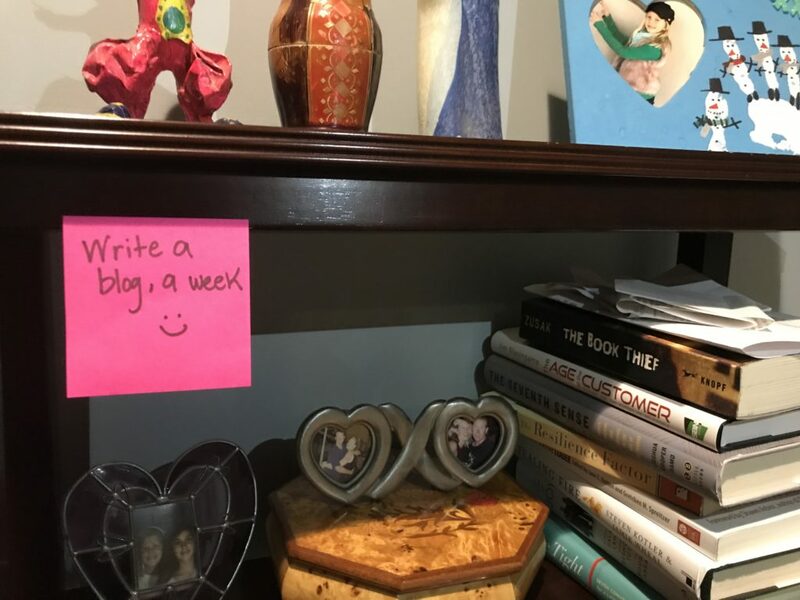 I resolve…to write a blog a week in 2018 for WorkWifeMom. What’s your resolution this year? Share it with me in the comments, I’d love to hear how you make resolutions with your family.